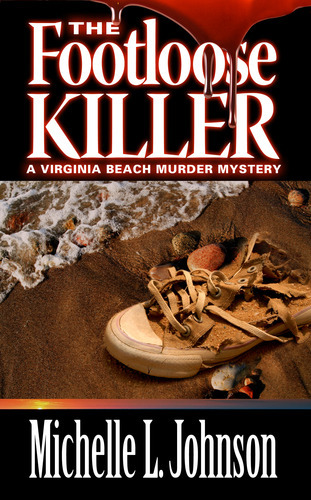 When another dismembered foot washes up along the Virginia Beach oceanfront, the VBPD is stumped. It’s the eighth year in a row, always just as the frenzied tourist season starts. And for the eighth year in a row, there is no body, and there are no suspects. Detectives Lexi Sawyer and Morgan Pryce have never felt more pressure to solve the case, just as their personal lives face a crucial test. The media is relentless in its coverage. The new Mayor demands an arrest. The police chief is hiding something. And their only lead points straight to the famous talk show host, Dr. Hill, who has a few secrets – not to mention millions of dollars – of his own to protect. Michelle L. Johnson fills many shoes in the literary world. She is a literary agent. She is a Junior Literary Agent working with and learning the business from Marisa Corvisiero, Esq. at the Corvisiero Literary Agency. She is an author. Her debut novel, “The Footloose Killer” was released March 2012. She is working on the sequel, and has several other writing projects on the go. She is an editor. Working with other authors coaching and collaborating is something Michelle excels at, and works with both independent clients as well as a small, independent press and a small publishing house. Michelle is a coffee lover beyond reason, and has a fascination with the workings of the human mind.